Reigning Latin American Poker Tour Chile champion "Mario Lopez" and 2011 WSOP November Niner "Sylvain Loosli" were the two big names atop the podium in the poker room of Casino Barcelona. 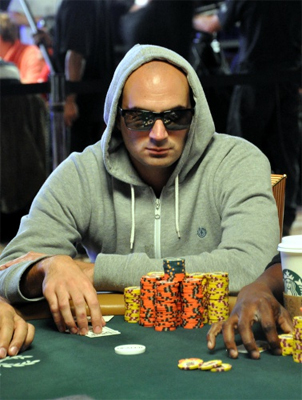 France's Sylvain Loosli has just emerged victorious of the European Poker Tour (EPT)_ 50,000 buy-in Super High Roller. He successfully claimed the throne by besting a stars-packed field that included Byron Kaverman (9th), Paul Newey (8th), Steve O'Dwyer (7th), Ivan Luca (6th) and JC Alvarado (4th). In the heads-up, Loosli had Dzimitry Urbanovich as a rival. All along his way towards the title, Loosli had to walk through thin and thick. As a reward, he pocketed the top prize of  1,224,000. Runner-up Urbanovich, for his part, was awarded  841,500, his sixth cash this year. As for Argentine's Mario Lopez, he captured the 2015 Estrellas Poker Tour Barcelona's title by topping a record field of 3,292 players. Chip leader heading to the final table of the  1,100 buy-in poker tournament was Jose Carlos Garcia. Although he detained the biggest stack, he gradually lost control of the game and fell to 4th place. After the fall of Nystedt to 3rd-place, the scene was set for an unsurprising final showdown that mirrored Lopez's victory over Frost. Crowned "Champion", the Argentinean was awarded  408,000. It is still worth mentioning that the festival keeps running at Casino Barcelona. The Main Event of the 2015 EPT Barcelona has just kicked off.